St-Germian-des-Prés is another area that no longer quite lives up to its legend: these days, it's more sartorial than Sartrian. In the middle third of the 20th century the area was prime arts and intello territory, a place known as much for its high jinks as its lofty thinking: the haunt of Picasso, Giacometti, Camus, Prévert and, bien sûr, the Bonnie and Clyde of French philosophy, Jean-Paul Sartre and Simone de Beauvoir; the hotspot of the Paris jazz boom after World War II; and the heart of the Paris book trade. This is where the cliché of café terrace intellectualising was coined, but nowadays most of the local patrons of the Flore and the Deux Magots are in the fashion business, and couturiers have largely replaced publishers. Never mind: it's a smart and attractive part of the city to wander around in, and also has some very good restaurants. 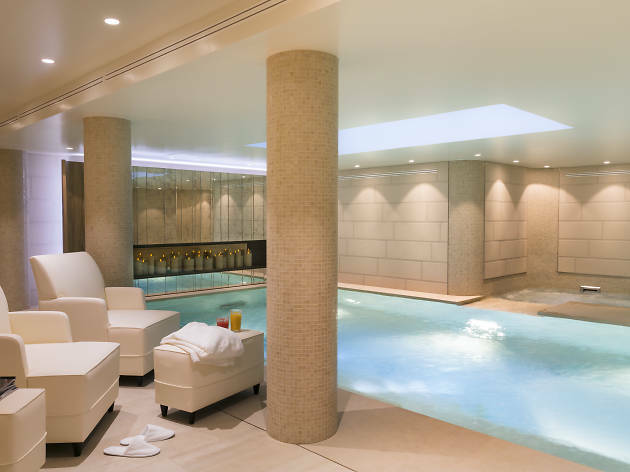 The Luxembourg Gardens are 200 metres from Le Clos Medicis in Paris’ Latin Quarter.Notre Dame Cathedral and paths along the Seine are 900 metres from the hotel.Luxembourg RER Station is 290 metres away and the metro system can be accessed 500 metres away at Odeon Station. 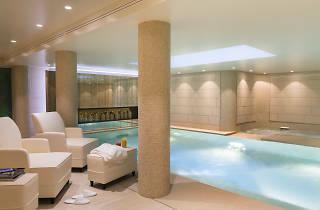 Hotel Fontaines du Luxembourg is located in central Paris, 110 metres from Luxembourg gardens and the Senate of France. 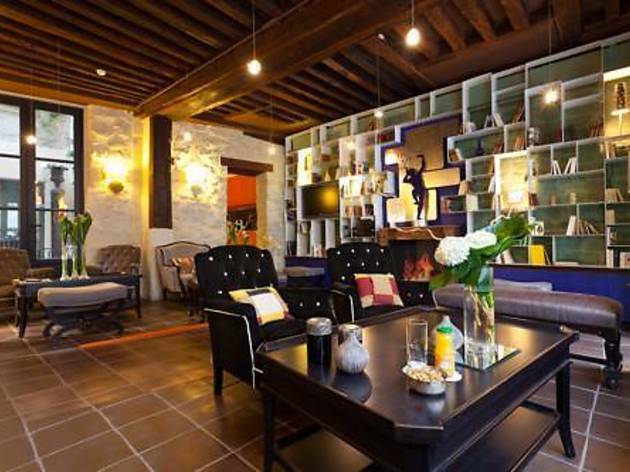 This designer hotel offers stylish rooms with period artworks. There are also many restaurants and cafes in the nearby area.The Latin Quarter and Saint Germain des Prés are 700 metres away. 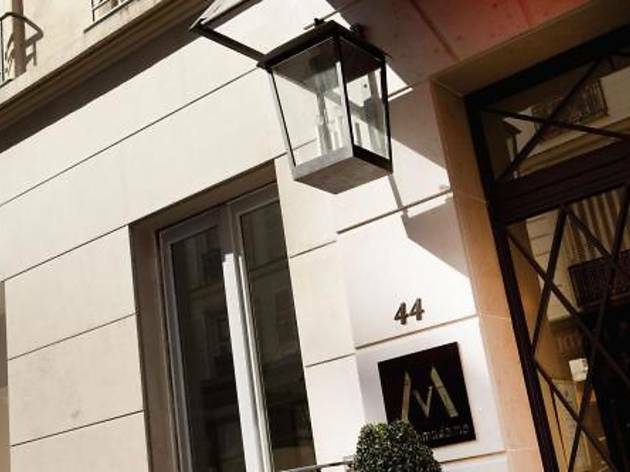 Metro Odeon is 400 metres from the hotel giving guests access to the rest of Paris’s famous sites. 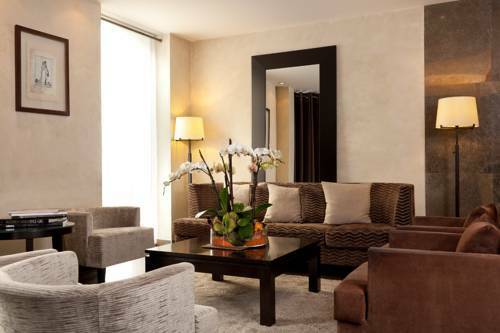 This hotel is located in the lively Montparnasse district, 250 metres from the Montparnasse Tower. Vavin Metro Station is a 2-minute walk away, providing direct access to Gare de L’Est Train Station and the lively Saint Michel area. This friendly, family-run hotel has embraced Saint-Germain's cultural heritage with gusto, creating a stylish literature-themed arrangement over five floors. The outside of the building is strikingly decorated with a tree silhouette; inside, each room is carefully done out with artwork related to books, printing, letters and so on. Great for families, couples and solo travellers who want a boutique hotel that's both characterful and down to earth, with a taste for all things literary to boot. 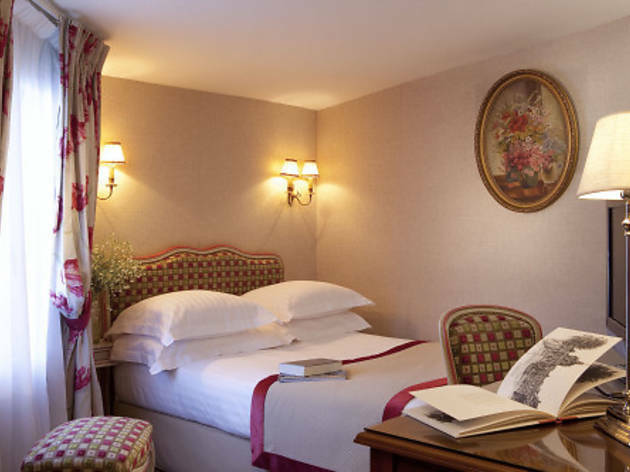 Located in the heart of Saint Germain des Prés, the Hotel des Saints Pères, a former 17th century private home, welcomes you to the residence of Louis XIV's architect. 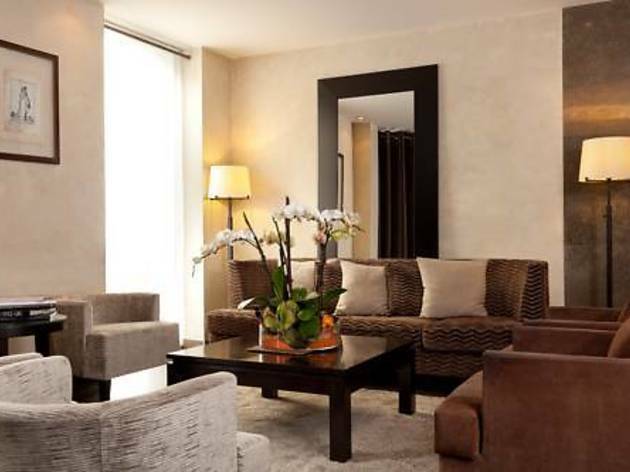 The rooms and suites are decorated with refinement. The rooms are equipped with Satellite TV, Wi-fi, mini bar, and air-conditioning. 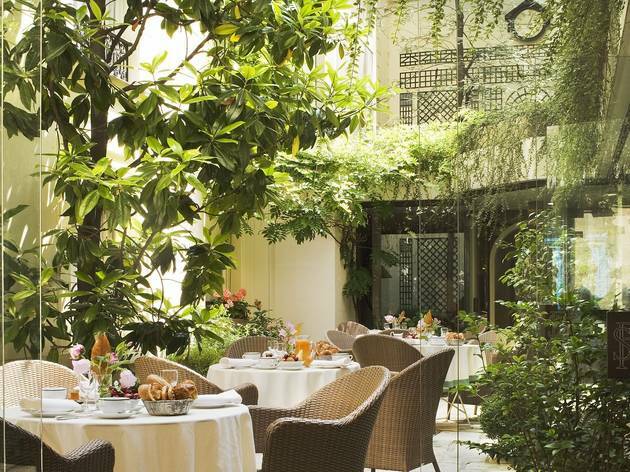 The hotel features a lounge, a dinner room, as well as a garden. There is also a Room service within the hotel. A car park is nearby. ‘Bel Ami’ is taken from a novel by Maupassant which follows the rise of a seducer drunk on power and wealth. ‘Bel Ami’ means ‘good friend’ and was the nickname given to this character by the women in the book. The story has been adapted for the screen in around fifteen films and now a hotel has adopted the name. 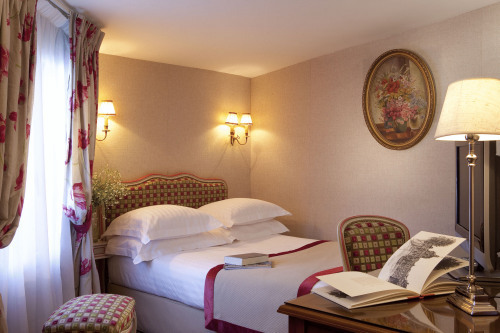 Hotel Bel Ami is suitably located in Saint-Germain-des-Prés, Paris’ renowned literary quarter, in a former printing house which first published the novel. 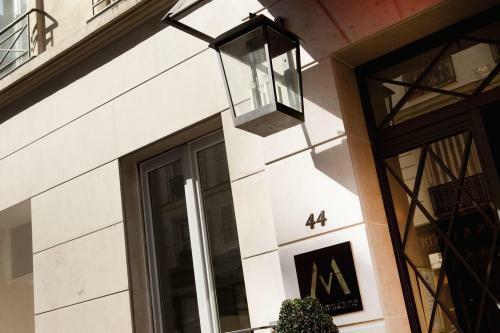 Located in the heart of the Left Bank’s stylish café and shopping district, this hotel is just 270 metres from Sait-Germain-des-Près Metro Station. 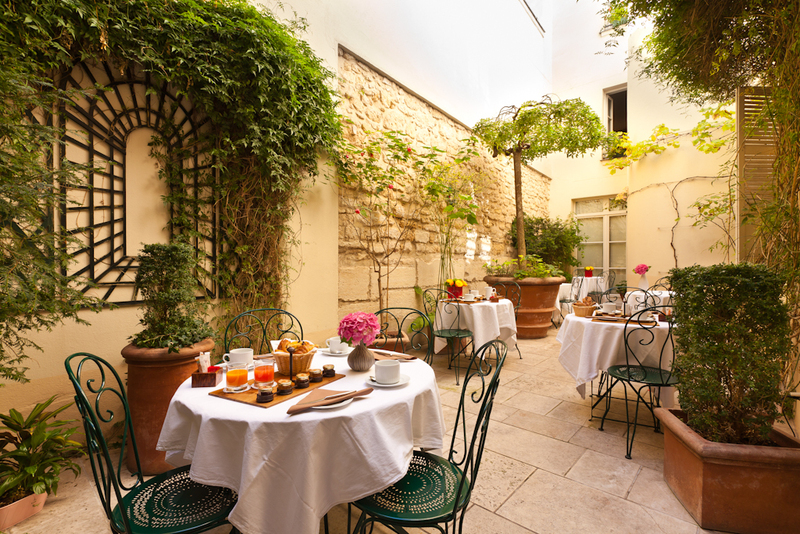 Parisienne cafés are located 400 metres away along the vibrant Rue de Buci and Rue St Andre des Arts. Notre Dame Cathedral and The Louvre can both be reached in less than 15 minutes on foot. 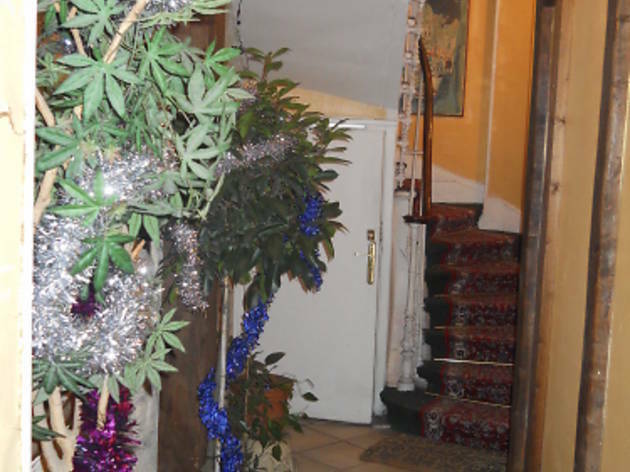 Hotel Le Petit Trianon offers low-cost accommodation in the heart of Paris. It is located in the famed Latin Quarter, near Saint-Germain-des-Prés.The rooms at Hotel Le Petit Trianon are simple, yet come equipped with modern en suite facilities and free Wi-Fi internet access. 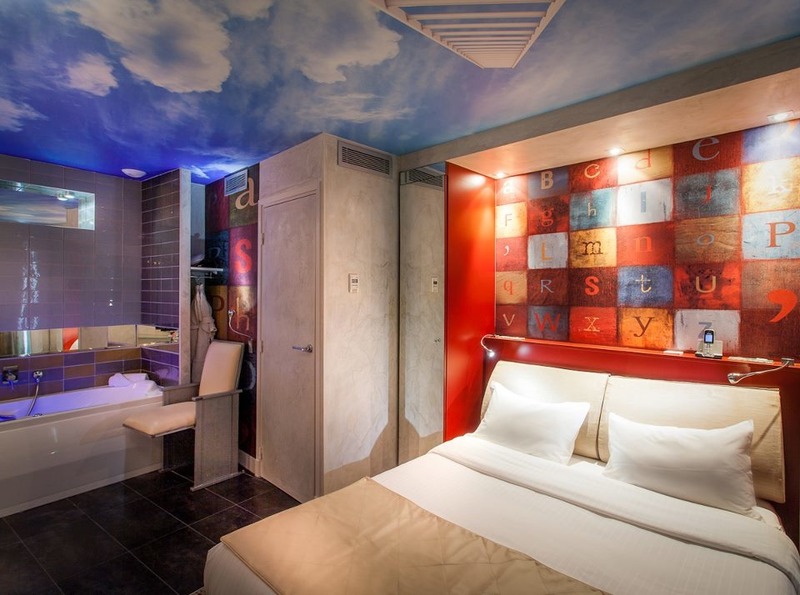 Some rooms have a shared bathroom.From Hotel Le Petit Trianon guests can easily walk to the RER B station at Saint Michel, which provides access to both Paris Airports (ORLY and CDG) in 30 minutes. 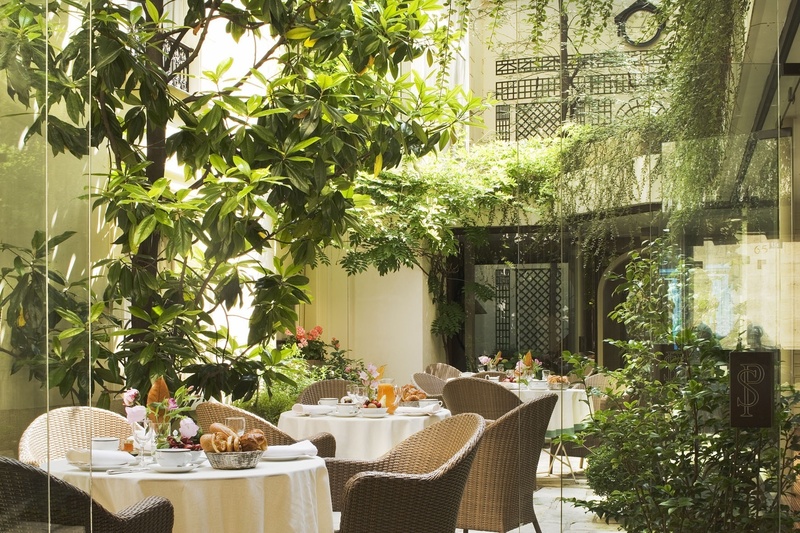 The hotel A La Villa Madame is located in Paris’s arty 6th arrondissement, in the Saint-Germain-des-Prés district. 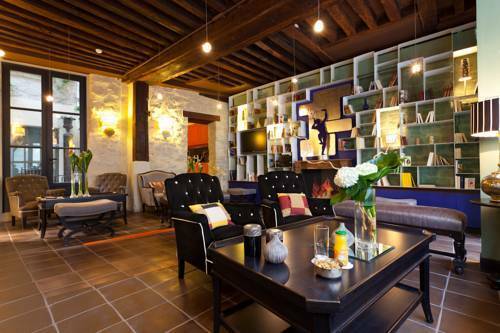 The hotel is situated only 350 metres from Saint-Sulpice Church and 200 metres from Luxembourg Gardens. 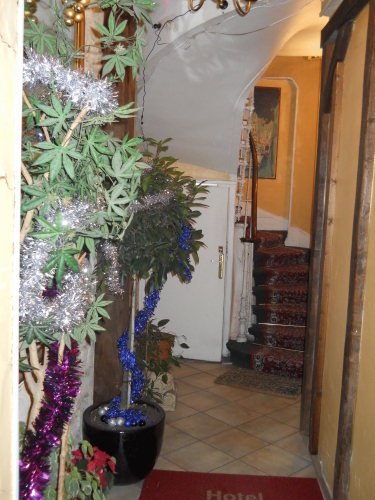 The hotel is served by Metro stops Saint-Sulpice and Rennes. Luxembourg RER station is 700 metres away and offers direct train access to both Roissy Charles de Gaulle and Orly airports. 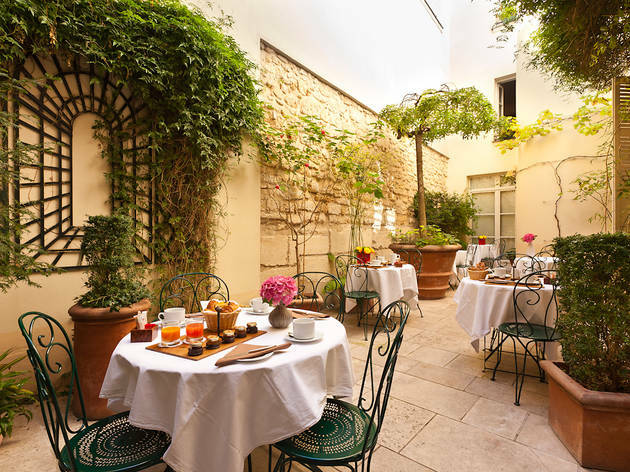 Nestled between Saint-Germain-des-Prés and The Latin Quarter, this boutique hotel is located in a 17th century building, a 10-minute walk from Notre Dame. 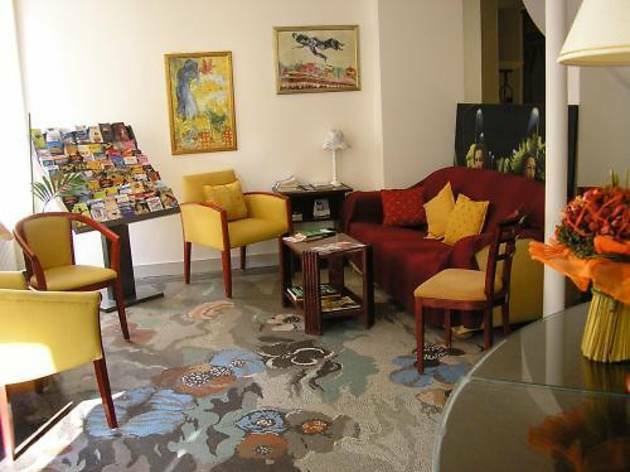 Dauphine Saint Germain offers free daily newspapers and a complimentary shoe shine service.Metro Station Saint-Michel is located a 5-minute walk from the hotel and offers direct access to the Montmartre District. The Louvre is a 20-minute walk away. An airport shuttle service can be requested at an extra charge.